Sugar snap peas are a cross between garden peas and snow peas. They do not require shelling, which means, the whole pod is edible. I buy them regularly when they are in season, during the months of June and July. They are a delicious, crunchy addition to any stir-fry, salad or omelette. They can be bit pricey during off-seasons, but when they are cheap, I have blanched snap peas almost everyday. With only 45 calories per cup, there is no reason to stay away from them. Why they are called sugar snap peas? I have no idea. Probably because they are sweet and pop when snapped. 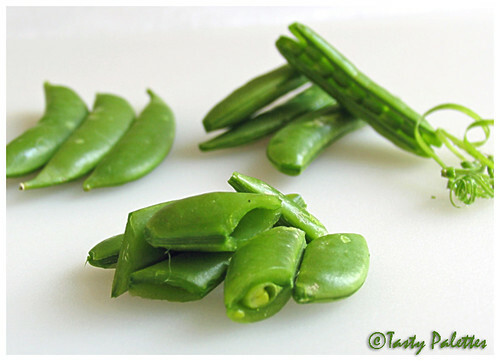 When buying sugar snap peas, select pods that are bright green, flat and tender. They have strings that must be removed before cooking. Pinch one end of the pod and pull the string toward the other end. After having endless salads and stir-fries, I decided its time to introduce spices to these tender peas. Since they are delicate, the spices used in this curry are also minimal. Going with my instinct, I paired these peas with cumin and nothing else. The marriage between this western vegetable and Indian spices was, indeed, gratifying. Now, every time I buy snap peas, I cannot help, but prepare this curry. A word of caution, do not cook these peas for a long time. When overcooked, they become mushy and the flavour is destroyed. Prepare this as you would do a stir-fry, but Indian style. Heat oil in a wok. Splutter cumin seeds and sauté onion and garlic, until onions turn soft. Add chopped tomatoes and sauté till they are cooked. To this, add sugar snap peas, cumin powder, chilli powder and salt and cook for 3 minutes, stirring in between. Serve warm with roti. 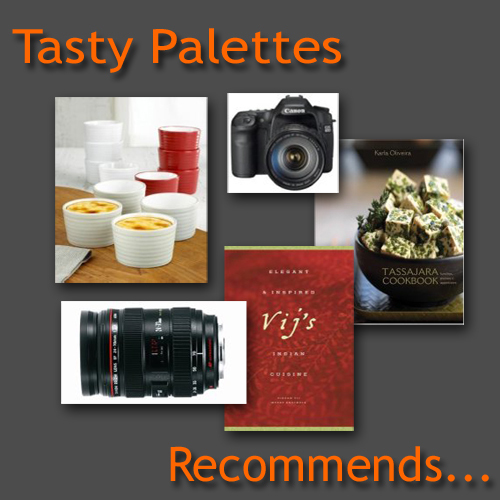 Since its got cumin written all over it, this goes to Sunita’s Think Spice – Think Cumin. Thank you Sunita for being a gracious host and accepting my late entry. Snow peas look lovely Suganya, I too have made something using both cumin seeds and powder. Sugar snap peas are my new favourite vegetable. I usually just steam them, but I need to branch out!!!! That first pic is fabulous Suganya! :) Can make this with Snow peas as well right?! The dish look great. I have to try this dish. Oh those peas look lovely1 I wish we could grt them in bangalore. Nice curry suganya! beautiful dish. somehow, i don't like these peas cooked. that's probably because when we bring them home, we eat them all up raw and there's nothing left to cook. Suganya, lovely dish, Sugar Snap is a recent discovery for me, I am used to walking past it without a second glance, these day I don't walk past it without picking up a few. Great one, Suganya. Looks so colorful and pretty. i love the sugar snap peas and snack on them ;). Nice entry for the event. I was actually looking at your rotis - they look so perfect. Good entry Suganya! Never cooked sugar snap peas...will try it if I find a good deal on them. Such a good looking meal. I tried and loved your mushroom masala. Thanks! That looks delicious, I never thought of cutting sugarsnap peas, I usually stir fry them whole. Your looks so nice diamond shaped. 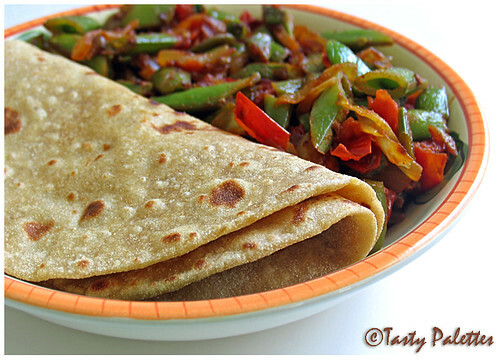 Pic with chapati looks sensational. Thank you to each one of you for leaving yr trail here. As always, your pics do great justice to your food. Those sugar snap peas would be nice sauteed with a pat of butter and some crushed garlic. Your pics are gorgeous and posts are excelelnt too. They are making me want to visit this blog regularly. I love sugar snap peas...your's look gorgeous...thanks for sending it over. I love sugar snap peas too, I have used them mostly in Thai Stir frys, this looks very good, will give it a try. Oh love these sugar peas.... but I'm too lazy to remove those strings :)... Your recipe sounds nice Suganya! Nice curry with sugar snap peas. Never tried it before. will it for sure. Lovely!! Ur pics can make any vegetable look very tempting!!! Theres an award for u on my blog, pl take a look! They are called "snap" because the pod walls are so thick (as opposed to the thin, bendable walls of snow peas)that they "snap." I like your recipe, Suganya. I find snaps too sweet, but spicing them up sure tempts my taste buds. I wish I could get my rotis to look that perfect!